Save time and eliminate all chance of error. 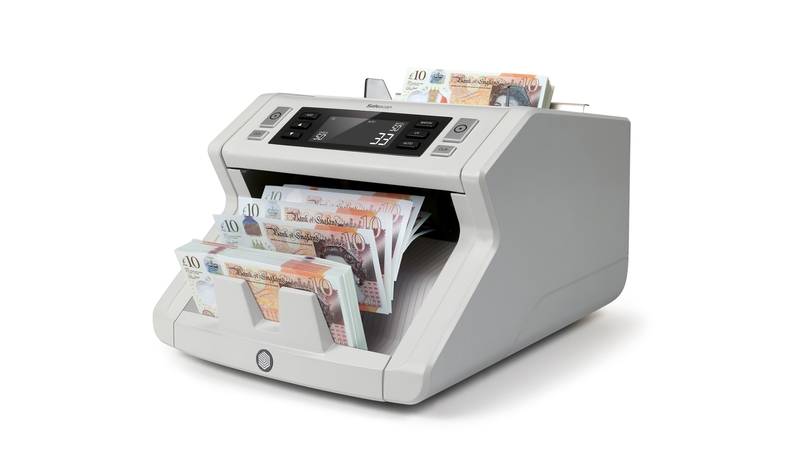 The Safescan 2210’s back-loading hopper can hold up to 300 banknotes and accurately count them, up to 1000 notes per minute. Today’s currencies are printed with sophisticated security features that make it hard for counterfeiters to succeed. 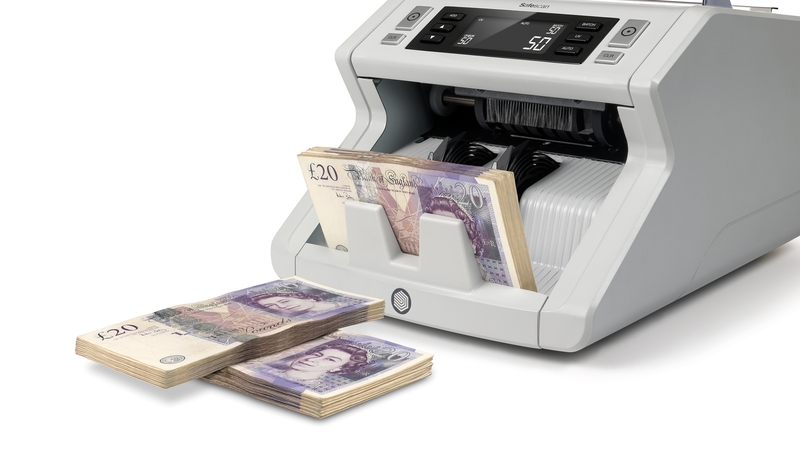 The 2210 automatically checks every banknote for two distinct security traits: UV markings and bill size. It will pause and beep to alert you when it encounters a suspicious bill; simply remove the offender and press start to resume counting. Let the 2210 help you optimize your cash-counting workflow. Press the convenient “add” button and the 2210 will automatically keep track of the total note count across individual runs. Press “batch” and enter the desired number of bills and the 2210 will automatically pause each time it counts out that number. There’s no faster way to prepare your bank deposits and cash drawers. The 2210 has an intuitive control panel and a large, crisp display. Six clearly labeled buttons provide easy access to the 2210’s many features. The spacious backlit LCD screen tells you exactly what you need to know: the number of notes counted and the specific count and detection settings you’ve selected. In 2016 the Bank of England started the introduction of new polymer banknotes. 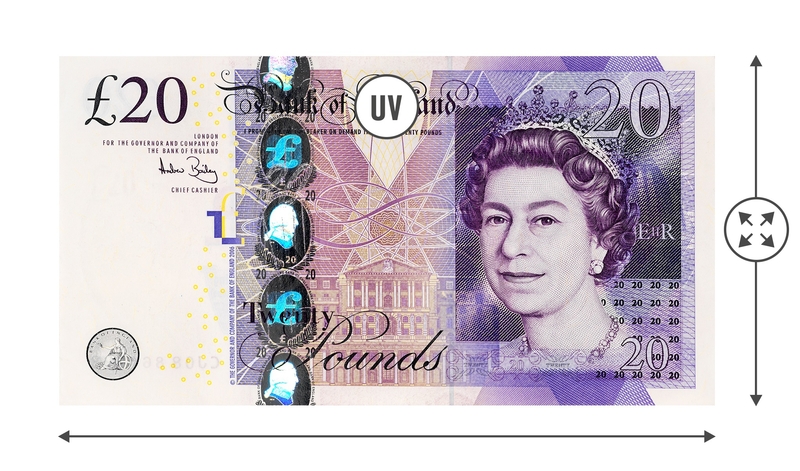 Polymer banknotes enable new security features, such as a see-through window, to be incorporated and will last more than twice as long as banknotes printed on cotton-based paper. However, they may pick up electrical static when counted in stacks. 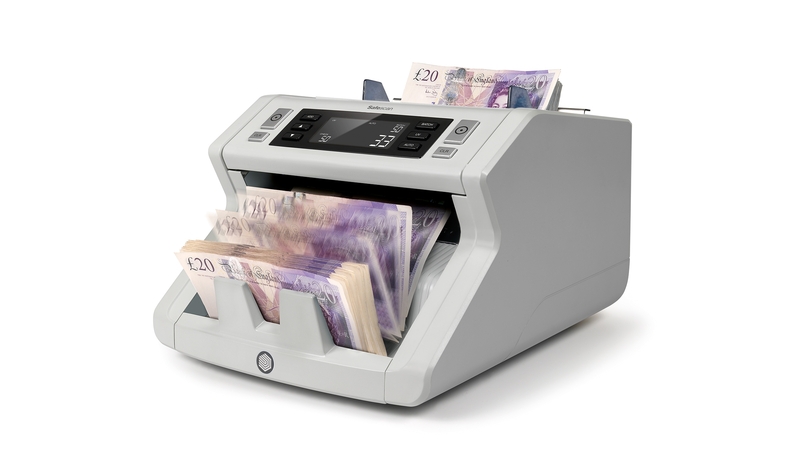 That's why we've equipped the Safescan 2210 banknote counter for the UK market with an anti-static brush, eliminating any risk of counting errors.